Roasting fresh coffee from all over the world has been our passion and giving access to fresh roasted coffee over the internet has been another passion. We are delighted to inform you that our store is having an upgrade allowing you to access and manage your blends easier than ever! Our new site is due to go live as part of our on going mission to give better access to more fresh coffee and give better value in the delivery of fresh coffee. 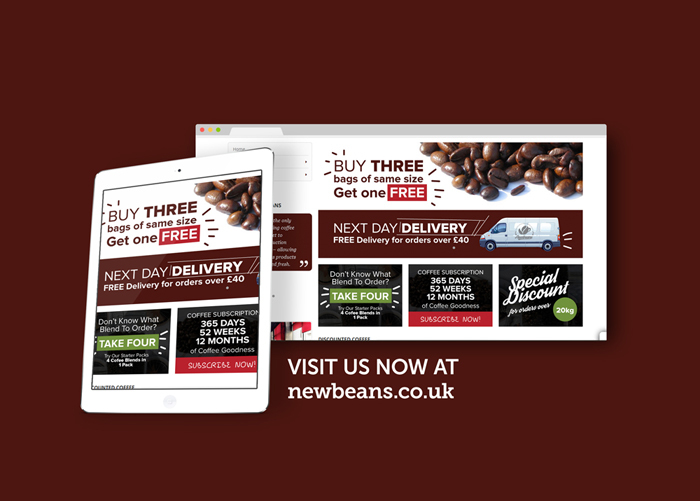 We would be delighted if you could visit our site Newbeans.co.uk which is ready to give you much better experience on Monday (October 19, 2015). This entry was posted in Coffee Info. Bookmark the permalink.